For the curly haired girls, taming their Medusaesque big, frizzy hair may become the biggest challenge in life and a matter of constant frustration, whereas, for the pin-straight, shiny haired girls, it is equally cumbersome as their hair may lack in volume and style. It becomes even greater an issue when you have short hair as it is more prone to frizz and actually has a mind of its own. You must be wondering, that is where curling iron comes to the rescue, right? Well, hold your horses, girlie! Curling irons work well on thick hair but on fine, limp hair, it doesn’t work so well as the curls don’t seem to hold properly. But Hot rollers work on all types of hair and it is darn quick. But there are things even your trusted hairdresser might not be able to do & also might get mildly aggravated. If you resolve on visiting the same hairdresser everytime because they know your taste, it’s only fitting that we repay them by keeping some things, like shown in this great post, to ourselves and not expect of them. 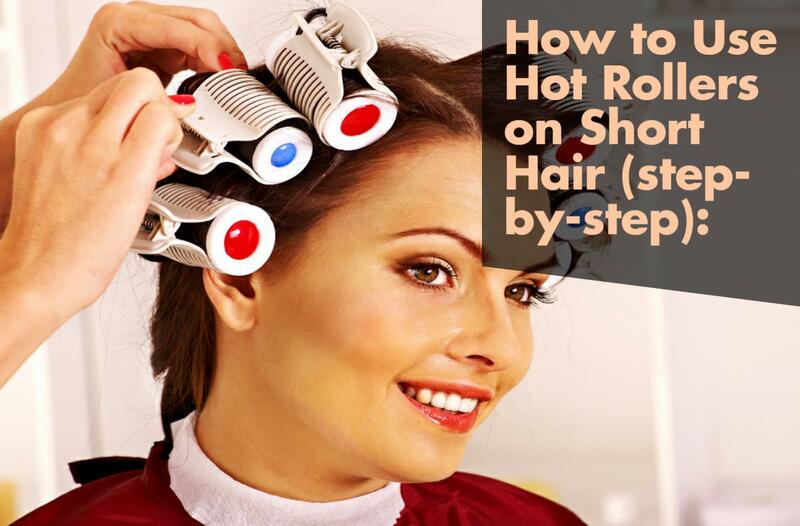 Here is how to use hot rollers on short hair. Choosing the right roller: For the tight curly hair look, you will need short rollers but if you want glossy, loose waves, go for the largest ones. But keep in mind, you need to have shoulder length hair to use the large ones. For the ladies with thick hair, here is a fine article to pick the right one for you! Prepping the hair: Your hair may be short but it still will be needing to be provided protection from the heat, especially because short hair is more prone to breakage. Use a good heat protectant on your hair and make sure you get all the tangles out of the hair first. A moisturizing mousse may help to retain the curls longer too. Partitioning the hair into sections: To curl the hair from the forehead first, create a Mohawk of 2 inches wide starting at the forehead and all the way to the back of your neck. Then part the hair on the sides of your hair into small sections. For more defined, tighter curls, divide your hair into smaller sections. One inch sections are ideal for this. Put the rollers on: Putting the rollers from top to bottom will get the job done faster and will also prevent tangles from forming. Roll every section onto scalp including the tip of the hair to get the perfect curls. Use clips to secure them onto place. Leave them on until they cool down: Patience is the key here. If you don’t wait until they are completely cool, the curls won’t be lasting long. Just keep busy in something else and wait it out! Remove the rollers and style the hair: Starting from the bottom, gently take off the clips and let the rollers drop out of the curl. Do not hurry and tug your hair, it may seriously damage the hair and also the curls. To make sure the curls last longer, do not brush the hair. 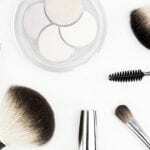 Run down your fingers through the curls to smoothen them out and use a good hairspray to keep them in place. Curling short hair with hot rollers is easy and fast. Hot roller is the best option to minimize the damaged caused by heat and also to achieve the classic, retro look. So, put aside that curling iron and start rolling those beautiful tresses! I hope these tricks will make the process to curl your hair short hair a lot easier and hassle-free!